﻿ Why are falling and rising markets called bear and bull? Why are falling and rising markets called bear and bull? 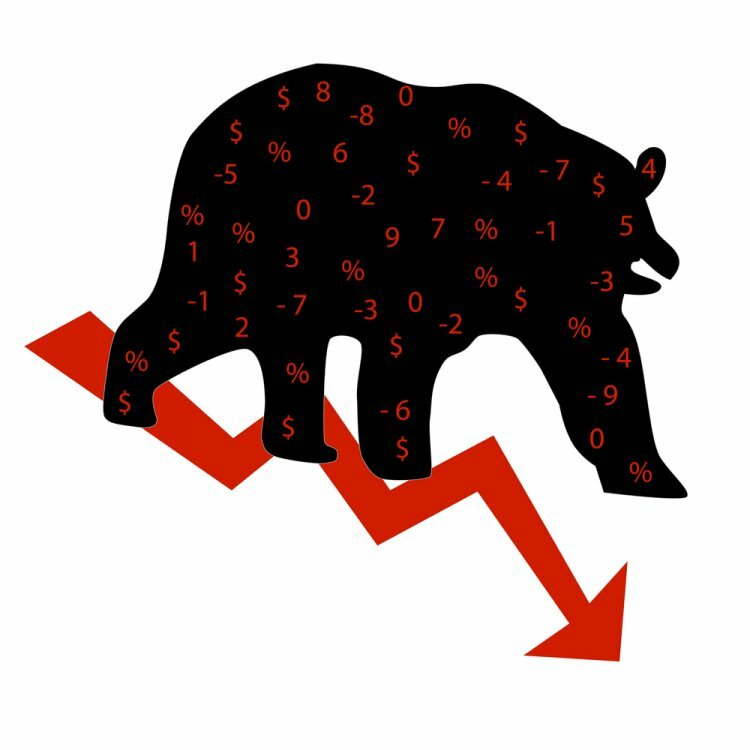 For traders News and features Features Why are falling and rising markets called bear and bull? Bull and bear markets can reflect the optimism and pessimism of the economy but markets can also run counter to the economic data. They can rise – be bullish – when pessimism dictates they should fall and fall – be bearish – when optimism says they should rise. As an investor you’ll be sensitive to signs of both bull and bear markets to have a better idea of your investment strategy and to structure your portfolio. Knowing when to time the market is an impossible science. However, it is essential to understand both market and economic cycles and how market sentiment can affect your securities. It will better inform what to do to either maximise profit or mitigate losses. There are a number of theories about where the terms came from. A simple idea is the visual reason for the terminology through the actions of the bull and bear as they attack. A bull drives its horn up into the air reflective of the upward movement from low of the stock market while the bear makes a downward swipe with its paw reflecting a down market from high. According to Merriam Webster, in terms of etymology, the use of bear in a commercial context appeared first in a 17th century proverb that warned not “to sell the bear’s skin before one has caught the bear”. The middle man called a “bearskin jobber” made profits on the difference between the price he paid for the skins and the price he sold them for. He would sell at a high price but with a long delivery time before he had even bought the bearskins, anticipating he price would fall by the time he needed to deliver and he could buy the skins at a lower price, pocketing the difference. Soon the word bear came to mean a stock sold by a speculator as well as the speculator selling the stock. Bears were said to sell a borrowed stock with a delivery date specified in the future. 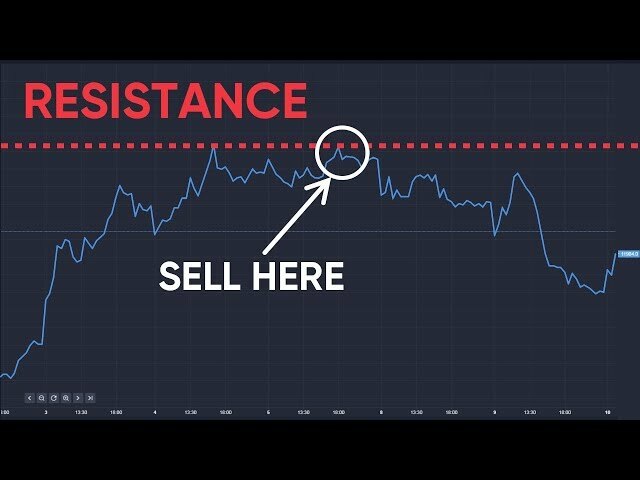 This was done with the expectation that the stock price would fall and it could be bought at a lower price allowing profit from the difference of the selling price. This is now called short selling. The famous South Sea Bubble in 1720 saw more widespread use of the term as many people took to speculating. The use of bull came into existence around the same time as a rival and equally powerful image to the bear. Again theories abound. One is that when the London Stock Exchange was established in the 17th century there was a bulletin board where traders posted offers to buy different stocks. A high demand for stocks meant a board full of bulletins, commonly called bulls for short and when there was little demand the board was ‘bare’. The bull was associated with a person making a speculative purchase in expectation of a rising stock price. Soon bull came to denote a market with a rising price and bear represented a market with falling prices. There is a bull and bear market for different securities such as bonds, equities and commodities. Today the bull is a visible symbol around the financial markets. In 1974 Merrill Lynch, a financial company, adopted a charging bull as its logo. There is a sculpture of a charging bull created by the artist Arturo Di Modica that he displayed briefly in front of the New York Stock Exchange in Wall Street in all its symbolic glory following the Black Monday stock market crash of 1987. Part of the economic cycle is periods of time when there are fluctuations between rapid expansion (boom) and severe contraction (bust). The length of one cycle is a single boom and contraction (measurable only after the fact when growth and national output figures are available). There are four stages of an economic cycle: boom, slowdown, recession and a recovery. Economically, a boom can be said to be occurring when there are more jobs, higher wages, increased demand for imports and fast growth in consumption among other things. Consumers feel good and they feed this optimism and confidence through to markets such as housing and shares. But, when investors pour into these assets sending the market higher for any extended period that’s exuberance with a psychological problem – irrationality. Investors spurn or, more to the point ignore, any news that isn’t reinforcing the feeling. Alan Greenspan, a former US Federal Reserve Chairman, made a speech in December 1996 where he coined the term ‘irrational exuberance’ used in a different context but has since been used to describe the euphoria in a bullish market. A bull market characterised by on-going volatility and exuberance could be a sign of an overheated economy or what is called a ‘bubble’. Bubbles can be formed as a result of economic and monetary policies, interest rate levels, inflation, liquidity as well as social psychology factors based on optimism. But, the real drivers of bubbles are mania and easy access to money. During bubbles, sentiment is at work as people feel wealthier and act on illusory beliefs about quick profits and that the bubble will never end. The South Sea Company was formed in 1711 to take on £10m of British Government debt incurred during the War of the Spanish Succession. In exchange, the company was to receive annual interest payments from the government and a monopoly on trade with the South Seas and South America. The hoped-for trade never materialised but it sought other debt conversions including a proposition to take on the entire British national debt. It was put to Parliament and passed, helped by the company bribing government officials and inflating its share price, it sold £2m of stock at £300 per share. On the back of the company’s wild success, ordinary people were duped into parting with their savings and even to exchange their state annuities for over-valued company stock. So pervasive was the party feeling that other joint companies, which were known as “bubble” companies were launched. Charles Mackay in his book Memoirs of Extraordinary Popular Delusions, tells of one wit’s entrepreneurial effort, “A company for carrying on an undertaking of great advantage, but nobody to know what it is”. Unbelievably, the subscription was sold out and the enterprising person absconded to the continent. Purely, cynical interests to protect its share price led the South Sea Company to convince Parliament to also pass the Bubble Act, which prevented the establishment of new companies and not as may have been expected to protect people from predatory behaviour. According to Mackay the price of South Sea peaked at £1,020 in June 1720 before stocks fell precipitously by 75% in September that year and many investors disastrously lost their entire savings. Great Depression 1929-1941 was precipitated by a decline in spending which led to a decline in production – a decline that infected the rest of the world. 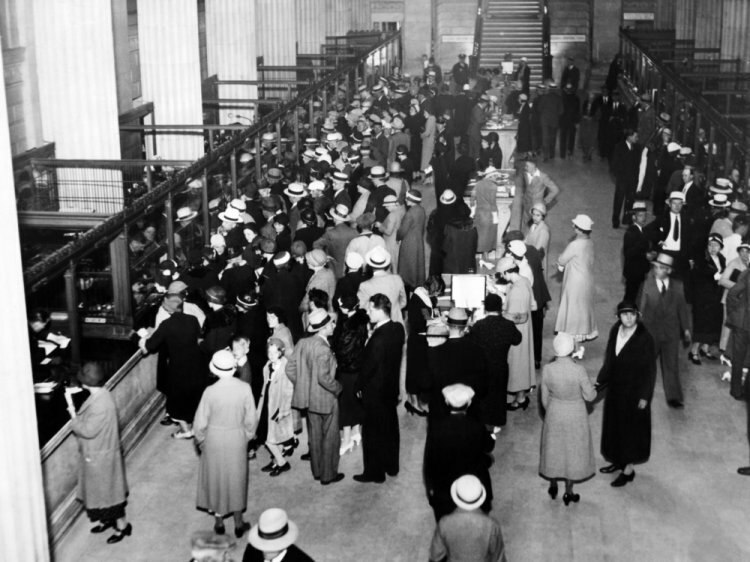 The decade before the Great Depression was a prosperous one. In the period after World War I, a victorious and powerful US saw rapid economic growth thanks in part to the introduction of new modern industries of automobiles and airlines. An energised economy in turn fed optimism. The US produced half of global output in the Roaring Twenties. There was low unemployment. Average wages increased and companies earned record profits. The lynchpin for the eventual Great Crash of 1929 was easy access to credit. Leverage was used not only to buy consumer goods but also to buy shares. 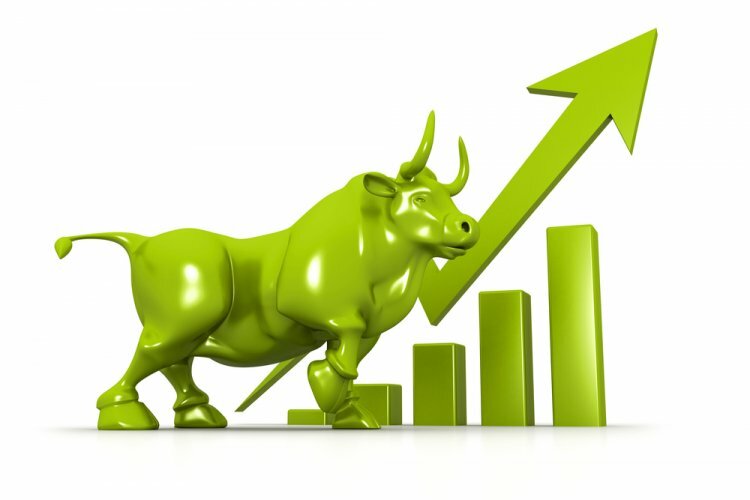 Bullish stock markets increased by 20% a year. Brokers created a financial innovation allowing investors to buy ‘on margin’ only requiring a deposit of 10-20%. People became instant millionaires when the market increased. But by the fall of 1929, U.S. stock prices had reached levels that could not be justified by any hoped for future earnings. Bad news about short selling, exiting foreign investors and a falling British stock market circulated in the weeks before Black Thursday, 24 October 1929. Within four days the Dow Jones Industrial Average dropped 25% and lost $30bn in market value as panicked investors rushed to sell shares. Confidence eroded as people desperately tried to gather cash, selling assets in order to meet debt obligations under margin calls. The economy staggered under the effects as unemployment rose, wages declined, economic growth tumbled by 50% and world trade even further by 65%. The Great Depression lasted for 10 years and was felt in different ways in at different times many industrialised countries including the UK. Dotcom bubble of 1995-2000: Technology companies were the darlings of the market. Investments in tech companies fuelled a rise in equity markets. NASDAQ rose from 1,000 to 5,000 from 1995 to 2000, doubling in the final year on trading in internet company stocks. The bubble burst on 10 March 2000 when panic selling wiped 10% off the market and the majority of the internet companies folded by the end of 2001. Housing bubble 2007. In the year preceding the 2007/8 financial crisis was the housing market boom sparked by low borrowing costs. These loans were called subprime loans and were made not only in the US but also other countries, including Ireland and Spain. Financial innovations on lending simply widen the entrance field to housing, flooding it with all kinds of speculators as house prices increased. In 2006, the signs that more and more subprime mortgages were defaulting were ignored. The feeding frenzy continued until the credit markets froze in summer of 2007. A subprime lender, American Home Mortgage, went bust and the housing market crash officially began as the fallout, struck insurers and banks such as AIG, Lehman Brothers and Bear Stearns. The impact reverberated and a recession began with foreclosures, rising unemployment that lasted until 2010. As these examples illustrate, sooner or later the party stops and the hangover headaches begin. Official definitions of a bear market vary somewhat but descriptions commonly suggest share prices must decline between 15-20% over a minimum two-month period. The average period of a bear market is 15 months. A combination of economic cycles and investor sentiment can set off a bear market. The first phase of the bear market will begin at the tail end of a bull market, sentiment and prices remain high as investors seek to take their profit and exit the market. Sell-off begins in earnest during the second phase and prices drop quickly. At the extreme there is a crash. Pessimism is pervasive as corporate earnings and trading activity fall along with investor confidence. There will be lows set on market indices and trading volumes and yields will reach highs. Similarly, economic indicators such as GDP, real income, unemployment figures will drop below the average. The third phase is a pick up in the market as speculators enter. The final phase is that stock prices fall but at a slower pace. Prices may be low enough that investors come back if indicators are positive. A recession is a temporary economic decline with negative GDP growth for at least two successive quarters. The difference between a recession and depression is the degree of severity of the downturn. How this is reflected in the stock market are usually dramatic drops in share prices, which can last from three months to three years. Black Monday, 19 October 1987 is an example. On that day the stock market, futures and options markets crashed due to the number of sell orders that flooded the markets. The Dow Jones fell a tremendous 508 points. The crash is notable because it was short, sharp and severe and the market stopped functioning. It was headspinning speed that greed turned to fear as investors desperately tried to reach brokers to sell their shares. It was perfect storm according to the Federal Reserve with extreme conditions bringing the trading system to a halt for a day after the crash. The Fed’s monetary policies and actions were aimed at preventing a spillover to the economy providing liquidity and lowering short-term interest rates to start. It worked to reassure the market and restored confidence. It seemed a mere blip on the screen as markets recovered in seemingly record time. What could mark the beginning of a bear market is hard to tell until you’re out the other side. But economic signalling through an increase in interest rates from the government is a ‘tell’. 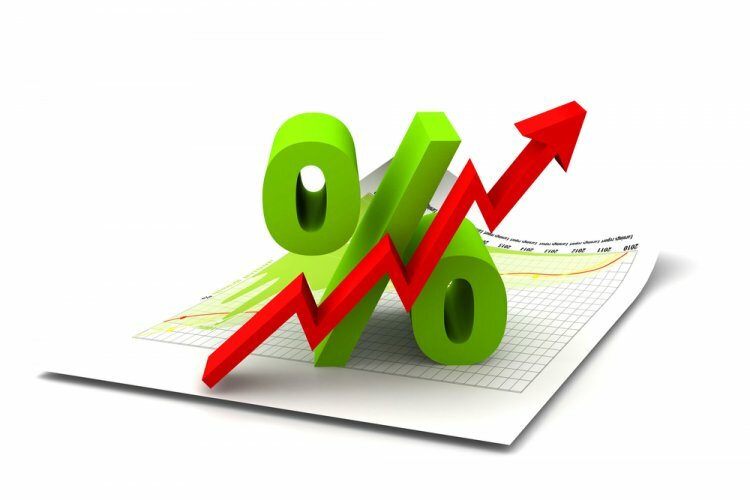 An economy in the bloom of health indicates that the government no longer has to keep interest rates low. That single aspect is not enough to provide an indication of whether there’s a bear market because economists and the government are backward looking when it comes to determining economic status while the market is projecting towards the future. Given the duration of a bear market a bull market may have peaked before the recession is formally announced (See adapting to a Bear Market). Ben Carlson, author of a Wealth of Common Sense, urges investors to get use to recessions occurring every four to ten years as a fact of life. They come and then they go. In 2015, Carlson suggested based on a small sample he conducted that while stocks tend to perform below average in the year leading up to and during a recession, they perform above average in 1, 3, and 5 years after a recession. Barclays’ analysis also suggests that stocks with low volatility and high net profit margins outperform when the economy enters a recession. They are no guarantees to performance and it is difficult to time the market. As the examples from crashes to bubbles show every cycle is different and unique to circumstances. It takes time for economists to even discover that a recession happened well after the fact. What can investors do? Guidance can be had through regular reading of economic and business news. You may be experienced enough to structure your portfolio to withstand any shocks of bull or bear markets through tactical asset allocation. Asset allocation will involve the reduction of your exposure to the stock market if a bull market rally has peaked and moving to other securities and cash positions. Read financial analysts’ recommendations and forecasts about indices expectations or the impact of economic news on sectors. Other signs to check for when it comes to a sense gauge for bear market activity are price to earnings (P/E) ratio of an index to determine whether investors are over paying (higher P/E) relative to corporate earnings. This can give you an idea about the direction of equity prices. When it comes to overly buoyant markets and the possibility of a bubble, check what the interest rate environment is like and if it’s an inducement for higher risk lending and borrowing behaviour. Increased coverage about new wonders, as seen with some tech stocks, could also be an indicator. It pays to be vigilant.